Fruit flies are a large and important group of insect pests that attack a wide range of fruit and vegetables globally. In Australia, the presence of some species of exotic fruit fly could reduce the capacity to trade in domestic and international horticultural markets. In 2016-17, the produce potentially affected by fruit flies was valued at $6 billion, about half of the horticulture sector which is worth $12 billion. This economic value, together with the fact that fruit fly don’t respect state boundaries, has prompted an integrated national approach to protect Australian horticulture and maintain and enhance market access. 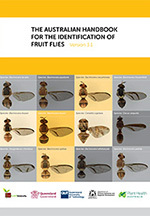 Managing fruit fly involves dealing with species already present such as the Queensland fruit fly, and using surveillance to detect any exotic fruit fly species. In October 2015 a new council was formed to work with growers and fruit fly management community groups across all states and territories to control fruit fly on a national scale. The announcement was made jointly by Plant Health Australia (PHA) and Hort Innovation, one of the major funding contributors. The National Fruit Fly Strategy (NFFS) is a national initiative aimed at improving Australia’s management of fruit fly, the world’s most economically significant horticultural pest. Sustainable management of fruit fly is of central concern to Australia’s horticultural industries, which capitalise on both domestic and international trade. Australian Bureau of Agricultural and Resource Economics and Sciences (ABARES) was engaged by Plant Health Australia to assess the potential benefits of implementing the National Fruit Fly Implementation Action Plan against the costs. The purpose of the analysis was to examine additional benefits that could be gained nationally through the coordinated Action Plan. Additional benefits are over and above existing benefits provided by fruit fly management programs. Research by ABARES for Plant Health Australia, December 2012, by Ali Abdalla, Nicola Millist, Benjamin Buetre and Bruce Bowen. The report, Benefit-cost analysis of the long-term containment strategy for exotic fruit flies in the Torres Strait, presents a benefit-cost analysis (BCA) of the response component of the Long-term Containment Strategy for Exotic Fruit Flies in Torres Strait. Produced by Australian Bureau of Agricultural and Resource Economics and Sciences (ABARES) for the National Biosecurity Committee, it includes a business case for horticultural industries to invest in it. PHA facilitated the development of a draft National Fruit Fly Strategy in collaboration with federal, state and territory governments and industry partners in 2006. The Strategy is designed to deliver a viable, cost effective and sustainable national approach to fruit fly management with all stakeholders committed to the national policy that underpins it. The strategy builds on the substantial investments made over many years by industry and governments on operational, regulatory, research and development and market access programs to manage fruit fly. It contains 20 recommendations and 80 strategies across major operational, policy and research areas. 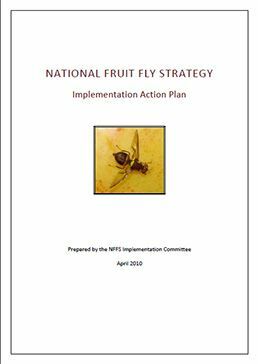 In 2010 the National Fruit Fly Strategy Implementation Action Plan set out 15 broad project initiatives across the commodity supply chain to guide implementation of the major recommendations and strategies of the National Fruit Fly Strategy. Key among these is the establishment of a national governance structure. The National Fruit Fly Strategy and Action Plan provides the mechanism to review the existing system in totality, to challenge traditional thinking and to consider alternative management options which will deliver a viable, cost effective and sustainable national approach to fruit fly management placing Australia at the forefront of international biosecurity.